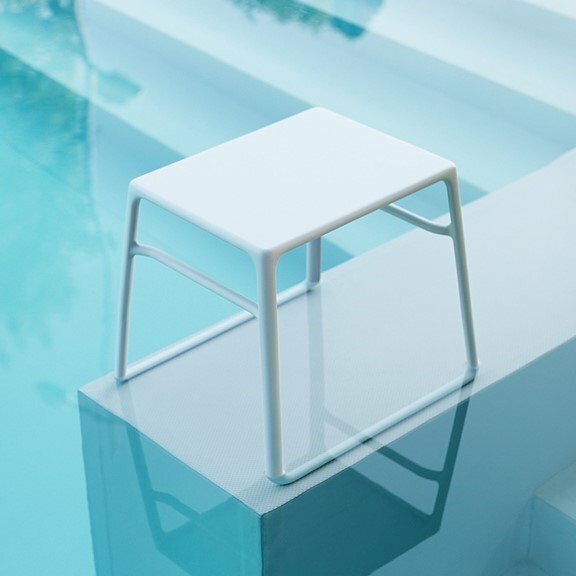 This POP resin side table features a sleek european design that is great for both the pool deck or tanning ledge! Strong, durable, and light-weight, this side table is made from fiberglass polypropylene resin that is perfect for in-water use if preferred. Uniform color and UV inhibiting compounds are thoroughly mixed within the plastic resin which results in a long-lasting vibrant table ready for years of use in a commercial environment. Perfect for hotels, beachside resorts, and waterparks! Comes with non-slip feet for a more secure placement without marring the surface of the pool deck. 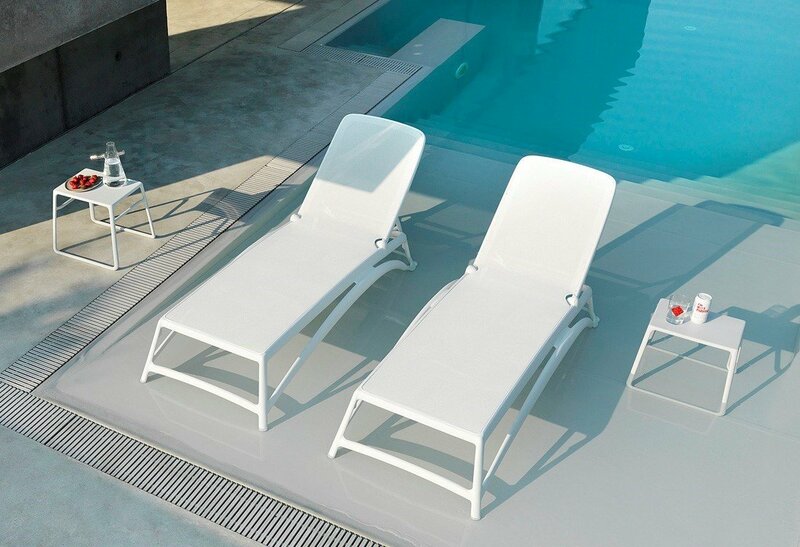 Eden Plastic Resin Chaise Lounge - 31 lbs.